A SWIMMER was recently bitten by a big fish. The ‘attacker’ was believed to be a giant grouper. These fish are usually raised in fish farms or kept in fish tanks in restaurants. This one was most probably set free during a fang sheng ceremony. The name means ‘release of life’ or ‘mercy release’. It is meant to be an act of kindness and compassion, but sometimes it kills instead. PEOPLE like to affirm their faith in religions through rituals. The more unique, elaborate and dramatic, the more popular they are. According to one bird shop owner, people would buy dozens or even 100 birds for one fang sheng ceremony. It is indeed very dramatic to see so many birds being released from cages and take flight. In fact, people who do not follow a religion also do fang sheng to ‘accumulate blessings’. THE release of life has evolved from being a purely religious activity into a business opportunity. 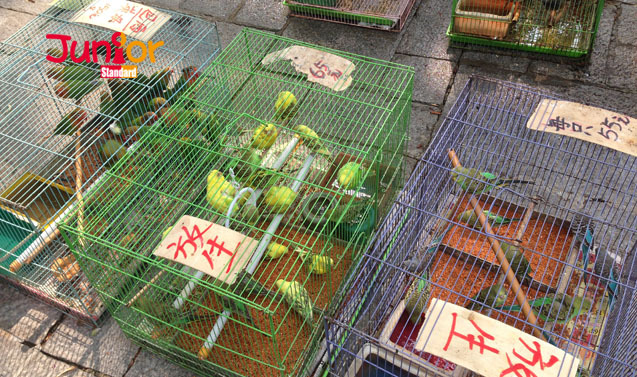 For example, bird shops in Hong Kong are importing ‘fang sheng birds’ just to cater for the need to supply these rituals. To attract customers, some shops offer discounts for marine animals if the customer wants them for the ritual. There are even travel agencies that organise ‘fang sheng’ trips to the mainland. THE idea of releasing life has good intentions, but the ritual has the potential of creating big problems. Species that are brought in from other places can upset the local ecology as certain animals or fish are invasive. They are fierce predators and reproduce quickly, so they could wipe out local wildlife. The red-eared terrapin has become a common pet in Hong Kong. People here call them Brazilian turtles. This species is actually quite invasive. But many people do not know this, and release them into ponds when they are no longer wanted. You can easily imagine the kind of damage they could cause the local ecology. Sabah Giant Grouper is another example. The fish has a big appetite. When they are released into the sea, they will quickly eat up local marine life. Imported animals can also carry germs. Cross breeding could bring unwanted results too. RELEASE of life is supposed to be a ritual of kindness. But if by doing so we cause havoc to the ecology, then it would not serve its original purpose. Infact, the effect would be just the opposite. Some people release animals in habitats unsuitable for the creatures. They release fresh water fish into the sea, or free frogs that can only live near streams on dry land. The animals would then suffer and ultimately die.